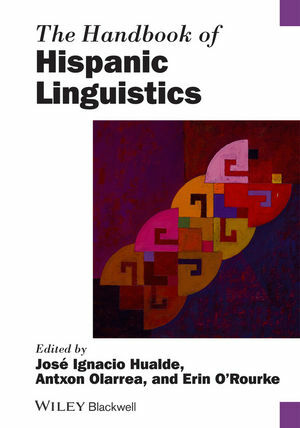 Reflecting the growth and increasing global importance of the Spanish language, The Handbook of Hispanic Linguistics brings together a team of renowned Spanish linguistics scholars to explore both applied and theoretical work in this field. José Ignacio Hualde is Professor in the Department of Spanish, Italian, and Portuguese and in the Department of Linguistics at the University of Illinois at Urbana-Champaign. His books include Basque Phonology (1991),Euskararen azentuerak [the accentual systems of Basque] (1997), and The Sounds of Spanish (2005). Antxon Olarrea is Associate Professor in the Department of Spanish and Portuguese at the University of Arizona. He is author of Orígenes del lenguaje y selección natural (2005), coauthor of Introducción a la lingüística hispánica (2001, 2nd ed. 2010), and coeditor of Romance Linguistics 2009 (2010). Erin O'Rourke is Assistant Professor in the Department of Modern Languages and Classics at the University of Alabama. She is co-editor of Romance Linguistics 2007 (2009) and has published articles and book chapters on intonation and sociophonetics in Spanish and Quechua, with an emphasis on the Andean region.